Worship is our central activity, and one that is amazingly hard to describe. We use an incredible pipe organ as our primary instrument. Its "voices" approach us from all sides, inviting us to sing along and making us sound like we can sing (even when we can't! ), but we often have guest instrumentalists and we are always working to expand and vary our music. Worship includes a "liturgy"--the work of the people--of prayers, confessions, and scripture. Participating throughout the service shapes us in ways that we don't always know, but over time, we find ourselves changed by the experience. We are drawn into worship by the God who love all people; we are sent out at the end to serve our God through concrete actions for the benefit of others. Please join us on Sundays at 10:00 a.m. in the sanctuary for our Sunday worship service. 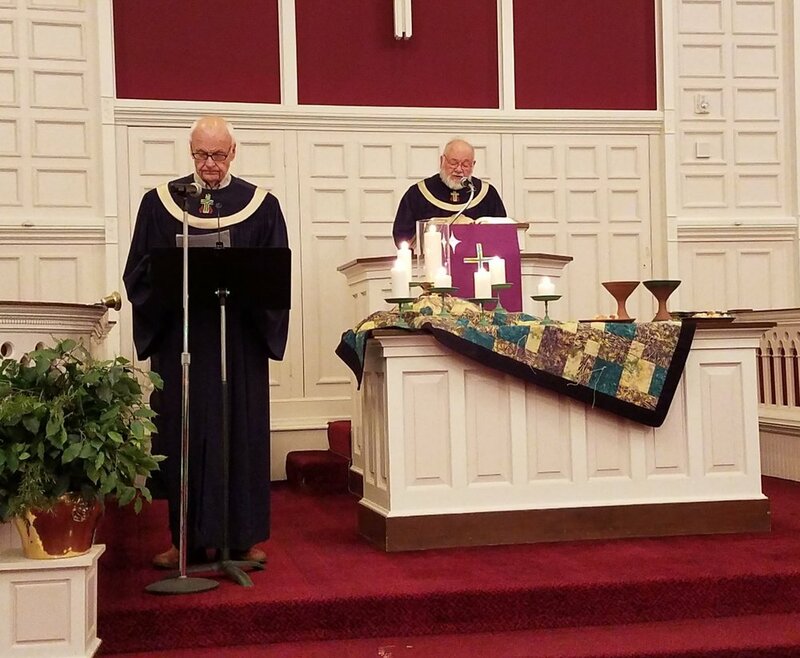 Presbyterians celebrate two sacraments, baptism and Communion. Baptism points to the reality of God's love for us and the tireless work God does to transform us into the people we are called to be. We baptize infants, understanding that the practice points to God at work in our lives before we are aware of God or can do anything for ourselves. We baptize adults, understanding that God's claim on our lives requires a public witness. 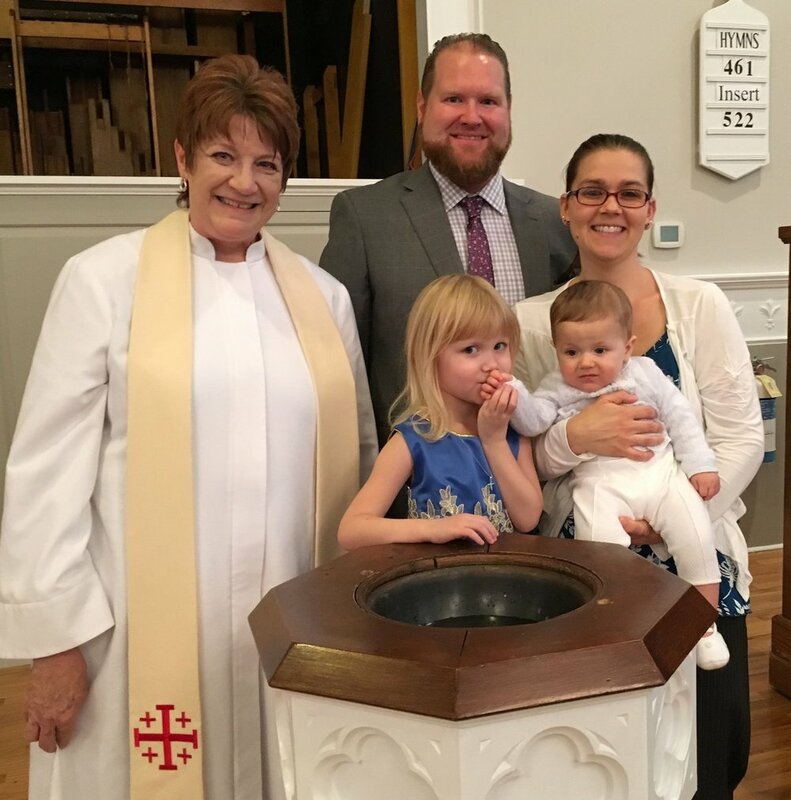 Baptism happens once and the Presbyterian church recognizes baptisms from all other churches who baptize in the name of the triune God. Baptism happens once, but Communion is an ongoing sacrament. We typically celebrate Communion on the first Sunday of the month. The Table is open, all are welcome because all are loved by God. We are nourished by this practice that reminds us there will be a time when all people are gathered at God's table, that all will be fed, that nothing will divide us any more. We follow the liturgical calendar which walks us through the biblical cycle of stories, songs, and wisdom in a three-year cycle. Included are many special worship services, especially during the season before Christmas and Easter. Our Choir has vocalists from high school through adult. They rehearse on Sunday mornings at 9:00 a.m. Everyone who loves to sing is welcome to join! (An audition is not required.) The Choir sings nearly every Sunday at the 10:00 a.m. service and on special occasions. The choirs do not sing during the summer and we enjoy a variety of special music. Individual members share their instrumental gifts--playing alone, with others, or in accompaniment to our choirs and our singing congregation. We are always open to new gifts of music to be offered in worship.